With the launch of the Canvas Cafe getting closer, we’d like to share our passion for food and drink that enables us to eat well and live well. Food is about more than simply consumption. It is about nourishment, pleasure, and fellowship. What we eat impacts our health and wellbeing. But it also goes further; it impacts the lives of farmers, small businesses, and the environment around us. That’s quite something! This is why we at the Canvas Café seek to serve food that is good – good for all of us. Serving food that is made using as many organic and free-range ingredients as possible is important to us. We’re so happy to see the rise in awareness and popularity of eating healthy, organic and local food and drink. It is like a return to how things ‘used to be done’ but without the hassle. Organic food and drink contain less (or no) chemicals. These chemicals are usually pesticides, preservatives, or antibiotics used to essentially increase production and shelf-life. However, it means that you then ingest these chemicals when you’re eating your lunch. Eating organic food reduces the levels of these in your body. Not only that, when plants and animals are not exposed to such chemicals it increases the nutritional value of our food. Organic food and drink have more beneficial nutrients, like antioxidants. It tends to be fresher. And it is most certainly better for the environment. Win, win, win. When it comes to meat, free-range and organic tend to go hand in hand. Animals that are given outdoor space are healthier, happier and give us better tasting meat. Cattle that are fed on grass have much higher levels of Omega 3 and 6 in their meat. So, it not only tastes better, it does more for your body. 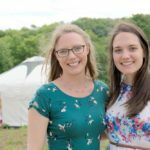 Kirsty and Angus at Waterloo Cottage Farm will tell you much more about why their pasture fed animals produce such high-quality meat. When you come to visit the Canvas Café, you may get to see the free-range piggies enjoying the grass and the fallen apples from the orchard. 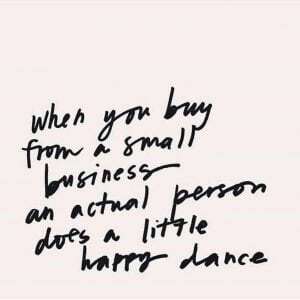 Our commitment to buying from local businesses means that we can support the small businesses in the area. It allows for more money to go directly to small business owners and farmers. It boosts the local economy. We only understood the real value in this when we become small business owners ourselves. Buying local also reduces food miles, which means less pollution and a lower carbon footprint. It ultimately delivers fresher food to your plate. Of course, you always think of these things when you’re buying a cappuccino, right? Organic and fairtrade coffee supplied by a local artisan coffee roaster, Well Roasted. A posh sausage sandwich using the pasture-fed and antibiotic-free pork from Waterloo Cottage Farm. Homemade soup using the organic vegetables from the Waterloo Cottage Farm Community Garden. Vegan and gluten-free brownies (ok, so these may not be totally healthy, but they make us feel good). Vegan and gluten-free raw fruit and nut bars packed with energy – but with no artificial flavours or added sugar. This is only a tiny example of what you could have at the Canvas Cafe. We are excited to be in the building process and cannot wait to announce our launch date. We hope you will share our passion for good food and drink. 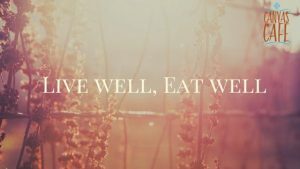 If not, let us inspire you to eat well and live well. If you can, why not swap part of your own regular food shopping to organic or free-range? We look forward to meeting you at the Canvas Cafe soon. To follow our progress, follow us on Facebook. From the Country Bumpkins, Lara and Jen.